Melania Trump’s spokeswoman Stephanie Grisham hit back Friday at Vogue editor-in-chief Anna Wintour’s choice to not feature the first lady on its cover. “To be on the cover of Vogue doesn’t define Mrs. Trump, she’s been there, done that long before she was First Lady,” Grisham shared in a statement. The comments came in response to a recent interview the editor-in-chief did with CNN’s Christiane Amanpour while discussing what kind of decisions went into featuring people like former first lady Michelle Obama on the cover. And whether it was purely a political choice, noting that the magazine strongly features Democrat women over Republican ones. The video can be seen here and starts at the 7:31 minute mark. 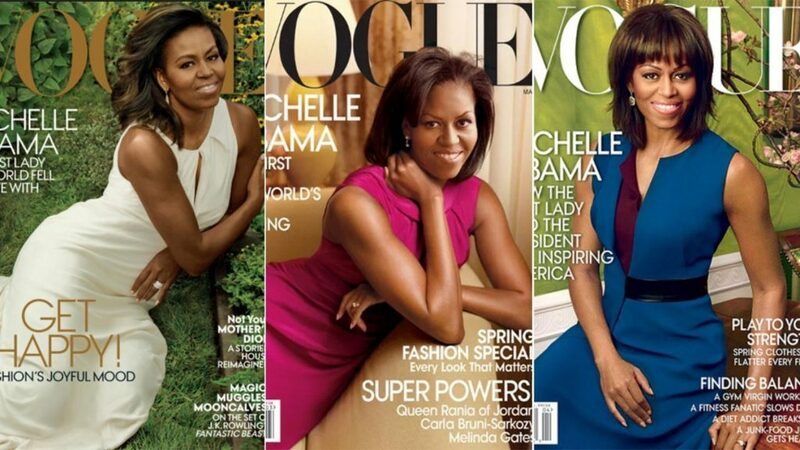 Michelle Obama appeared on the cover of Vogue three times. At one point, the two also talked about how Hillary Clinton was the first lady to ever grace the cover of the magazine in 1998. And how during Barack Obama’s presidency, Michelle was on the cover three times. Meanwhile, first lady’s Laura and Barbara Bush appeared in the magazine when the where in the White House, but never on the cover.